Fetch is what dogs do. Get your dog outside and make play time even more fun with these different shaped fetchtastic toys! The Go Fetch Pack includes: Roly Poly Ball – The nubs on this ball cause it to bounce erratically as your dog fetches it! 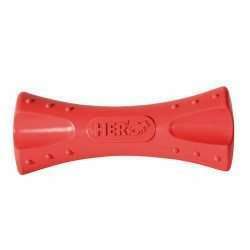 Made of super durable natural rubber for more fetch sessions. 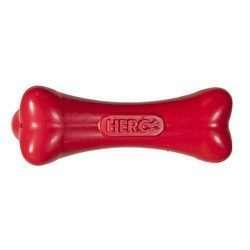 Soft Rubber Rope Bone – The rope on this bone means you can toss it far, and the nubs and soft rubber make it easy for your dog to grab. Solid Tennis Ball – The classic fetch toy we all know and love. Ours is slightly bigger than the average tennis ball, making it easier for dogs and humans to handle. The core of the ball is made of solid natural rubber for more bounce and added durability. 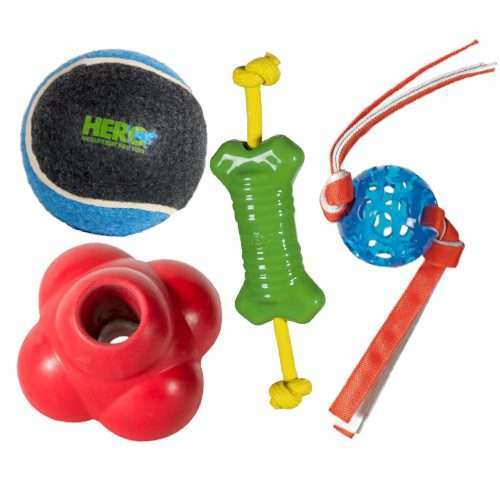 Soft Rubber Ball – The nylon tassles on this lightweight ball make it great for tug of war and fetch.